In addition to the usual comics, this week fans of superhero noir can buy the collected Incognito by Brubaker & Phillips, and fans of Alan Moore can pick up the second volume of Saga of the Swamp Thing in hardcover (containing perhaps the single best issue of that series, when Swampy descends into hell to rescue his love’s soul). Both recommended. This is the last week for the Blackest Night ring-giveaway tie-ins, and the last comic I’ve picked up for it that I don’t regularly buy is Justice League of America. 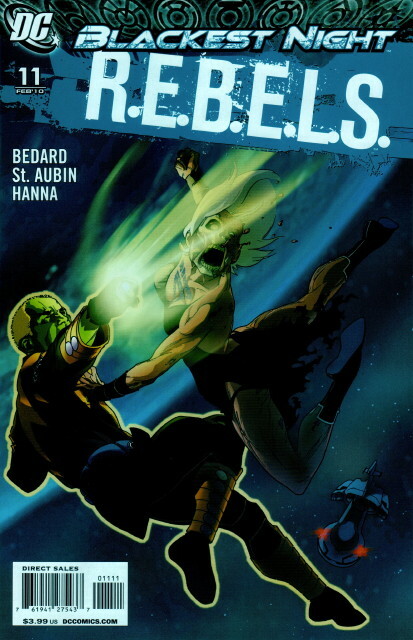 This series was launched after the cancellation of JLA (the one best known for Grant Morrison’s run, but which ran for another 6 years or so after he left), and has been rather controversial due to musical writers, and more-provocative-than-usual drawings of the heroines (you’d think this wouldn’t be a big surprise, but apparently it was pretty bad). The current creative team consister of Mark Bagley, one of the fastest artists in the business and in some ways a throwback to the superhero artists of yesteryear, and James Robinson, best known for his great Starman series of the 90s, but who has himself been generating some controversy in his Justice League: Cry For Justice mini-series. This, along with a rotating cast, has kept me far, far away from the JLA in recent years. 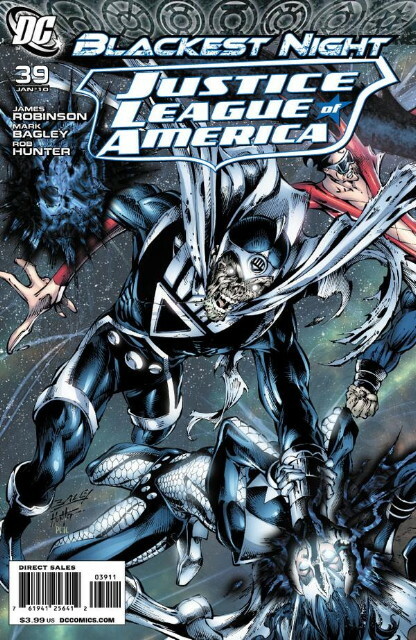 This Blackest Night issue is a horrible introduction to the series for new readers coming in via the tie-in. It focuses on a group of third-string Leaguers (Red Tornado – the original third-stringer, Plastic Man, Gypsy, Vixen, Dr. Light and Zatanna) entering the decimated Hall of Justice (yes, the JLA is now headquartered in the building from the Super Friends TV series; gah), and facing the zombie villains and heroes who were entombed in the basement of the JLA’s headquarters. Zatanna’s father Zatara is among the zombies, as is Vibe, the much-loathed member of “Justice League Detroit” from the 80s. It’s all a big fight against insurmountable odds in a shadowy setting, and as such seems completely meaningless. 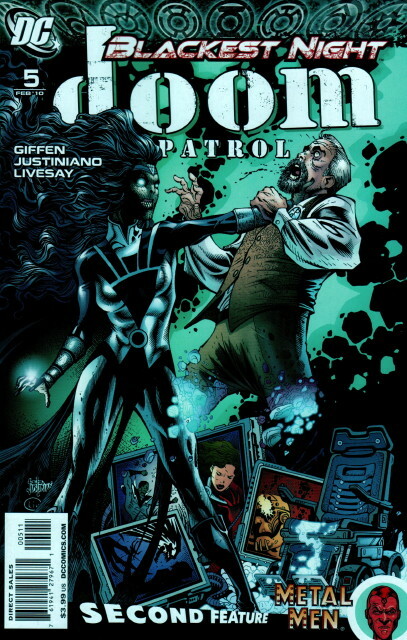 This may be the worst Blackest Night tie-in I’ve read, as it reduces the series – whose premise got tiresome pretty quickly anyway – to its lowest common denominator. Bagley’s art is okay, although his style has veered towards being more cartoony than I prefer. But certainly this doesn’t give me any reason to keep reading the series after this issue. Awful. Mark Millar and Bryan Hitch’s run on Fantastic Four seemed to be largely overlooked critically, and didn’t really help the sales of the series. But for all that Millar is a big-name comics writer (even though his writing is 180 degrees away from what I enjoy), it’s been his successor, Jonathan Hickman, whose run – now all of 4 issues old – has been getting the word of mouth. Indeed, when I decided a couple of weeks ago to check it out, I found his first two issues, but his third issue was sold out at my usual store, and at the next store I went to, and had only one copy remaining at the third store. Honestly I’d never even heard of Hickman before, but that’s not necessarily a bad thing. Well, one of the biggest perceived problems I see is it’s not perceived as a book about the Fantastic Four anymore. I think, because of all the tent-pole events Marvel has been doing, and how integral to their story Mr. 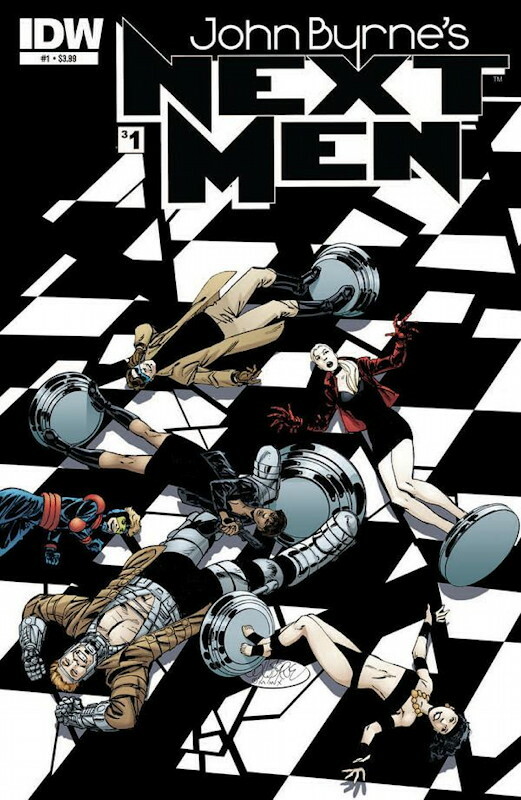 Fantastic has been, the book – heck, the entire FF universe – has become, by inclusion of exclusion, completely Reed-centric… almost like it’s Mr. Richards and his merry band of heroes. I think this is spot-on: By virtue of his leadership skills and brilliant mind, Reed has always had a tendency to overwhelm everyone else. 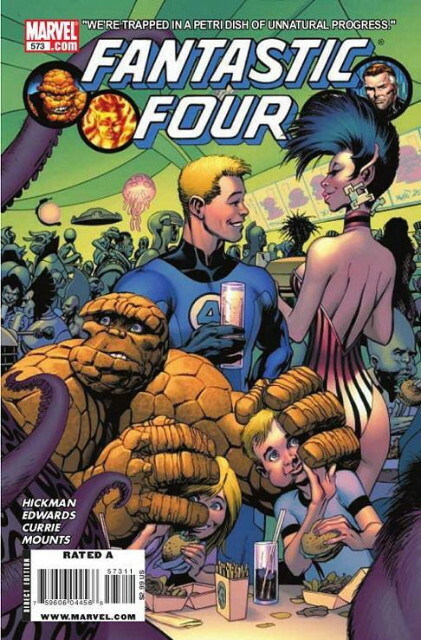 For many years, writers would take various tacks to either make the other three characters more prominent (the Thing and Human Torch’s larger-than-life personalities, John Byrne making the Invisible Woman more capable and showing his truly powerful her abilities could be), or by crippling Reed in some way (moving him off the stage for a while, making him depressed or cursed by self-doubt or playing up his problems relating to normal humans), and it worked to a greater or lesser degree. (To be fair, my clinical descriptions of how the writers handled the team dynamics don’t do justice to the actual stories, which are often quite entertaining. I’m just sayin’.) Anyway, Millar’s run was just the apex of the long-term move towards making Reed’s intellect truly world-changing, practically rendering his teammates superfluous. The first two stories in Millar’s run (which I’ve read in paperback form) focus on world-changing intellects as great as Reed’s, so any true solution to their challenges have to come from Reed himself, with his teammates being just the muscle to get the job done. 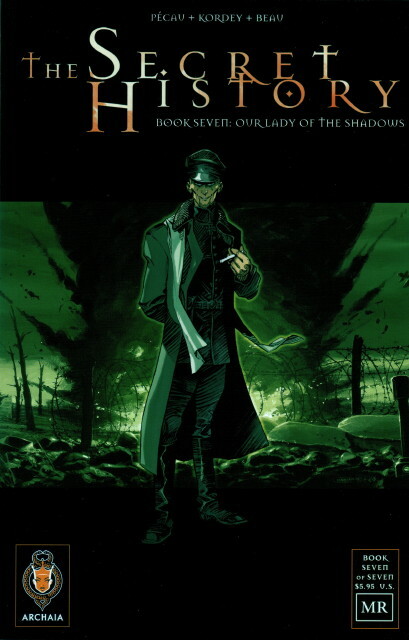 Millar loves to play with world-changing intellects in his characters, but I find his portrayals of them to be grim and depressing, and considering the FF have at their best been first-and-foremost an adventure magazine, rooted in the Doc Savage pulp tradition, the book ends up not seeming like the FF. So Hickman seems intent on pulling back from all that, and ironically he starts his run with a 3-part story focusing on Reed (the irony of which he acknowledges in the aforementioned text page), followed by this month’s issue, in which Ben and Johnny travel to Nu-World (a duplicate Earth) to deal with the long-term ramifications of one of the stories from Millar’s run, and in which we learn that Reed and Sue’s daughter Valeria is smarter than Reed himself, albeit keeping that mostly to herself. Hickman has set himself a big challenge in trying to rework the team into a team. The Reed story is actually pretty effective in helping ground Reed in his family by showing him how his life could go if he’s not careful, and in showing him in flashback as a child interacting with his father. It’s a first step, but a good one. This issue is less effective, as the notion that Valeria is that smart is just nuts (contrasting her with Franklin being rather, well, childish – despite having been shown as mature for his age in years past – is also annoying). While I can’t fault Hickman trying to tie up loose ends from Millar’s run, I rather wonder if he’d have gotten more mileage out of just ignoring those loose ends altogether. As a set, these four issues are not a bad start to a run, but I think Hickman’s taking it maybe a little too slow to get the FF to where he wants them to be. Maybe I’m just impatient. Artwise, Dale Eaglesham is the regular artist on the series, and his work has improved since he pencilled Justice Society of America for DC. #573 has fill-in art by Neil Edwards and Andrew Currie. 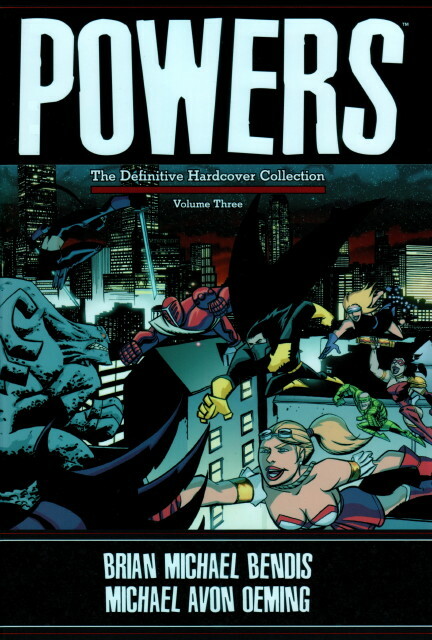 I haven’t seen Edwards’ work before, but his layouts and pencils here seem like a dead ringer for Bryan Hitch’s work. That’s not a bad thing (especially if you’re a Hitch fan), but it is a little creepy. Still, you have nothing to worry about as far as the art goes; I think these guys are up to drawing anything Hickman can give them. 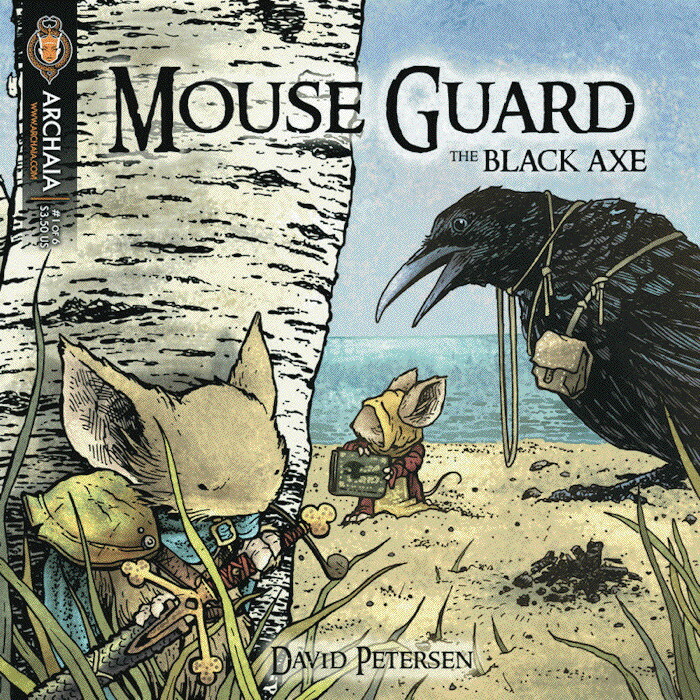 By the way, the cover to the left has absolutely nothing to do with the contents of the story. I assume this was intentional, since Ben, Johnny, Franklin and Valeria were going to Nu-World on a vacation, but the trip turns out rather differently than planned, so I suspect the cover is intended to make the reader surprised by where the story goes. It’s dirty pool, though; lying about the contents is almost worse than having a generic cover which doesn’t mean anything. Nice try, though. 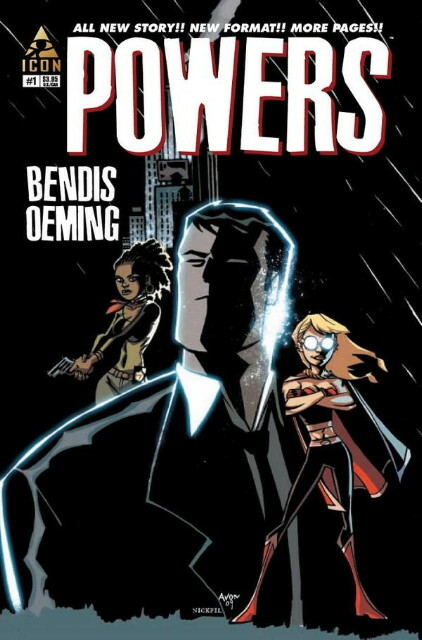 I have not been a fan of Brian Michael Bendis’ series in the Marvel Universe, but I am quite a fan of his series Powers, drawn by Michael Avon Oeming. The series’ original premise was a couple of beat cops who investigate crimes involving super-powers. The series evolved considerably through its first two runs, as we learn that detective Christian Walker used to be a hero himself before he lost his powers (and his background is very unusual indeed). Then the United States outlawed the use of powers. But then Walker gained new powers as the cosmic defender of Earth (a fact he keeps secret), and his partner, Deena Pilgrim, gained rather darker powers through a virulent drug going around the city. The second series resolved quite a few things in rather satisfying manner, and then the series went on hiatus. If that had been the end of it, it was a good note to go out on. Happily, the series has been relaunched with its third #1 issue this week. This issue gets back to the series’ cop-detective roots, as Walker and his new partner, Enki Sunrise (no, really), investigate the death of an old man whom Walker seems to remember from a different era in his life. Walker and Sunrise have an uneasy relationship (other cops aren’t too fond of them either), but it’s nice to see that Walker seems more sure of himself these days than back when the series began; he’s really developed as a character (which is saying something, considering his background). 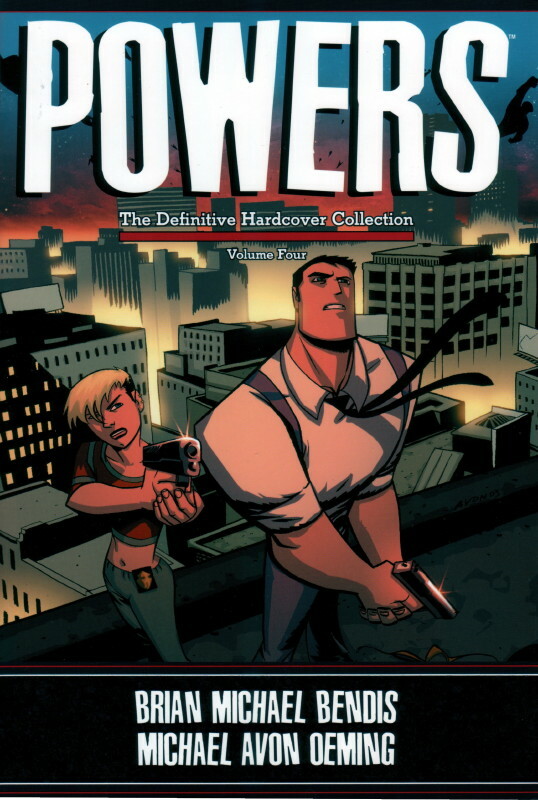 In many ways Powers is the original superhero noir series of the current era, and this issue looks like a good jumping-on point for people who haven’t read the earlier stories (although all of them have been collected in paperback – and many in hardcover). So if this sounds like your kind of thing, then definitely check it out. It’s good.